Comes in a gatefold sleeve with 'Sound Sound Rock Age 7' obi-strip. Title appears on Rock Age obi. Title " レッド ・ ツェッペリン IV " appears on obi while actually no title appears on label as per other countries release. This version sounds insanely good! It packs a lot of punch without sacrificing balance between different registers. 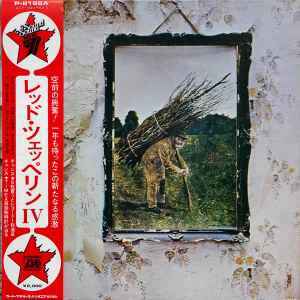 The vocals sound detailed and textured, separation between instruments is excellent, all of which add up to the powerhouse that is Led Zeppelin.